Kona is making big strides forward with its Process range. 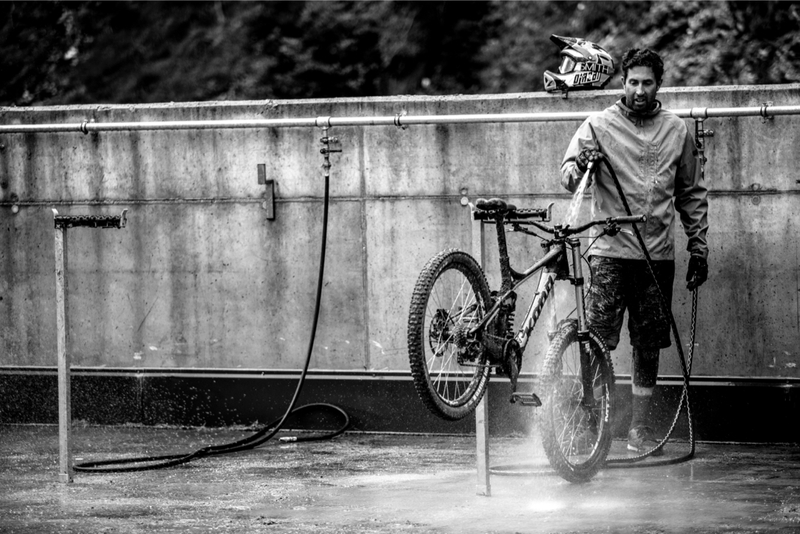 We hop on the new 2014 bikes at Austria's Serfaus bike park. 2014 could be a year to remember for Kona. Three brand new trail bikes and a carbon downhill bike mark the rebirth of a brand that has lost ground over the past decade. 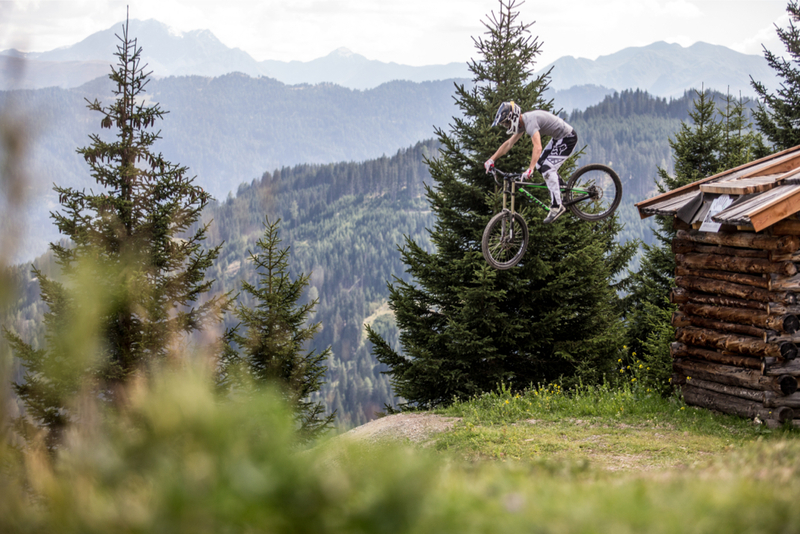 We got the opportunity to get some riding in on the new models at the newly opened Serfaus-Fiss-Ladis bike park in the Austrian Tyrol. 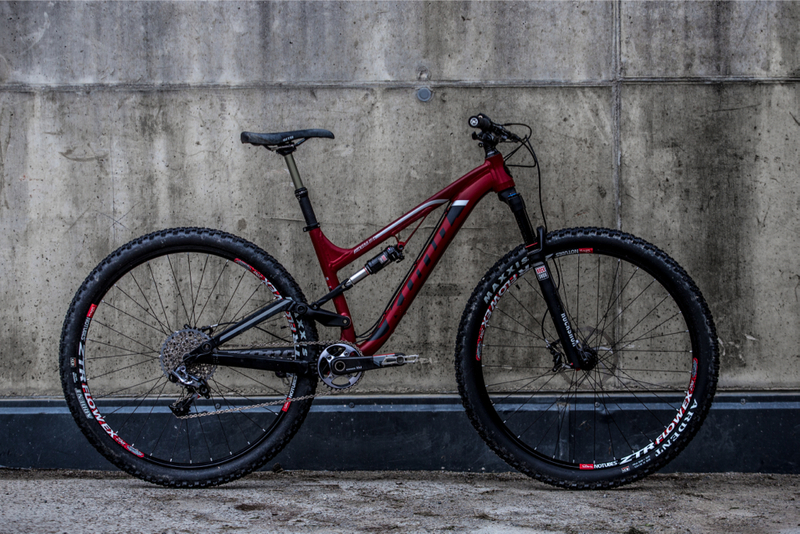 Keep an eye on a future issue for our first ride impressions, but for now, here’s a closer look at the new bikes. First up let’s swing a virtual leg over the Process platform. There are three bikes in the Process range, each of which will probably appeal to a different style of rider and a different type of terrain. Let’s look at them individually. The longest travel bike in the Process range, the 153 sports, yes you guessed it, 153mm of travel. Why 153mm and not 150mm? Good question. Well, Kona wanted to prioritise achieving the right balance of kinematics, suspension feel and geometry to produce the desired ride characteristics rather than be constrained by needing to nail a specific travel figure. Kona is not alone in having torn a big chapter out of Specialized‘s book of suspension design when it came to working out the linkage on the Process. Whyte and Lapierre, among others, have followed a similar path, developing an extender yoke for the shock that attaches directly to the link or the seatstays. This allows for an uninterrupted seat tube, a stiffer back end and a more supple suspension design because big, smooth bearings can be used instead of bushings. 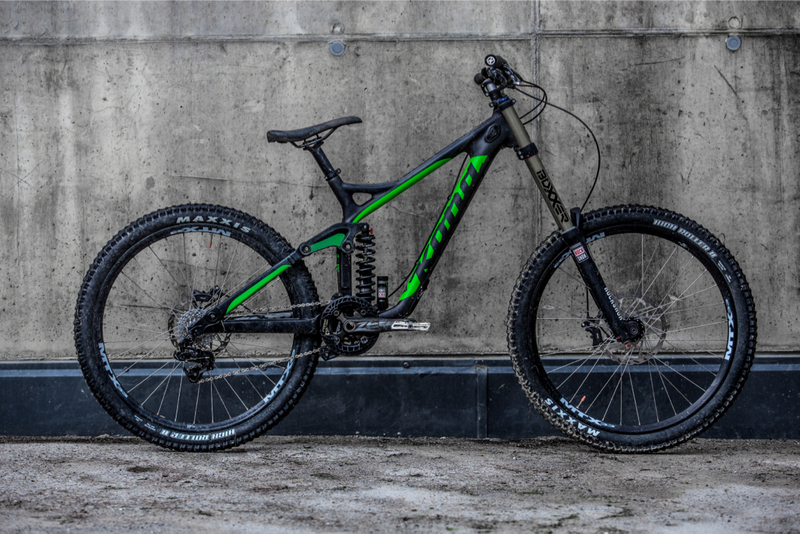 Kona has gone for a fairly constant leverage curve for the Process that allows for accurate suspension tuning and means that the shock will always be working in its optimum window. Matched up with a 160mm travel fork – a RockShox Pike on the both of the 153 models – this is a bike that could easily be campaigned on the Continental Enduro scene. Or, heaven forbid, just ridden for fun. Does anyone do that anymore? As you can see by the pics, Kona has given all the Process bikes a really low top tube. And when we mean low, we mean the XL size has the same standover as the small! Apart from looking cool, this makes it easy to move around the bike and get creative with the trail. A grown-up BMX? Well, you won’t be surprised to hear that the product manager for the Process bikes, Chris Mandell, is no stranger to riding a twenty. All the frame sizes get this low-slung top tube, but sadly the casualty of such a tiny front triangle is no room for a bottle cage. You’re probably going to hear a lot about long front centres, short chainstays, low bottom brackets and slack head angles this year, and while Kona hasn’t gone as far as Mondraker in pushing this new-school geometry theory, the numbers certainly look good. We’d also like to offer a hearty applause to whoever decided to spec every Process bike with a 40mm stem; bravo! So what else do you get? Well, this is MY14, so you get 650b wheels (natch), there’s a really beefy back end that should make for a properly stiff bike, a tapered head tube, ISCG mounts and routing for a Stealth dropper post remote. Two Process 153 models are available; the 153 Deluxe (DL) at £3,999 and the 153 at £2,699. If you’ve been paying attention, you’ll already have worked out that the 134 has 134mm of travel. This is paired up with a 140mm travel fork and 650b wheels for a combo that could prove very popular in the UK. 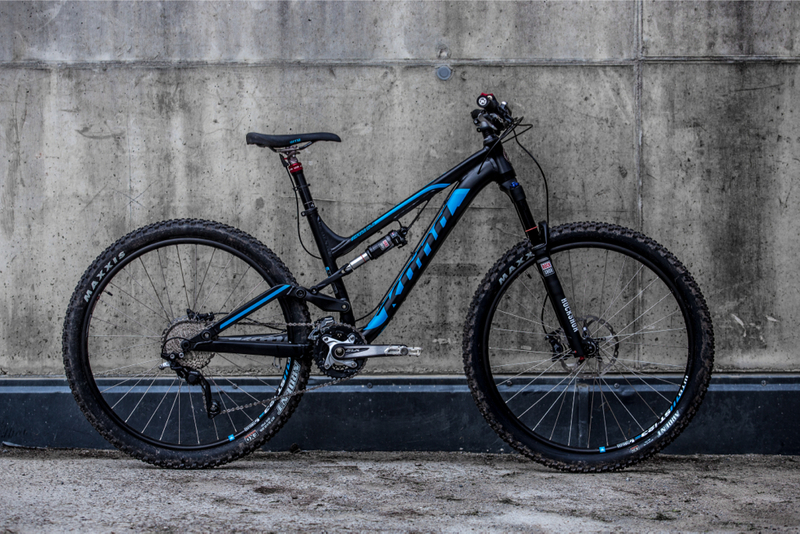 Basically, it’s got all the things that make us excited about the 153, with a bit less travel and slightly steeper geometry. Again, there are two models; the 134 at £2,199 and the 134 DL at £2,999. Both bikes get dropper posts, Maxxis Ardent tyres and chunky, 23mm internal width, rims. 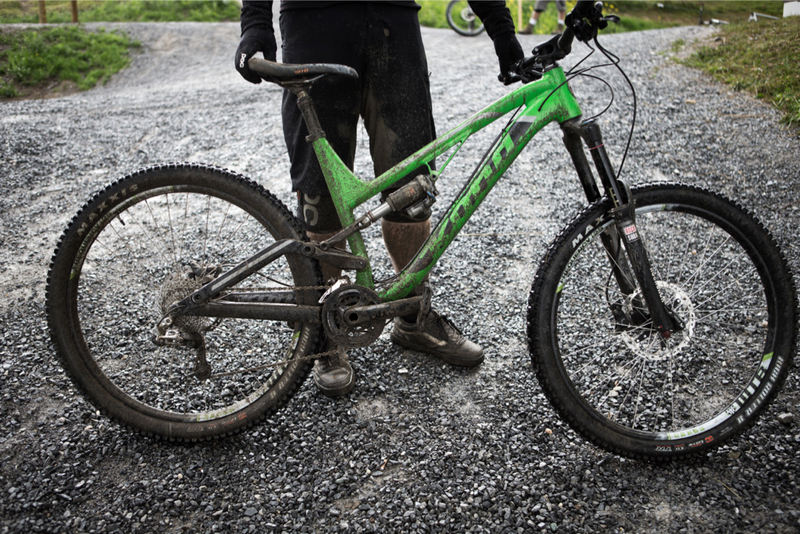 Kona’s Honzo hardtail had us grinning and grimacing in equal measures when we tested it in March. The handling was fast and furious, living up to its BMX-inspired looks, but the frame transmitted every little bump through to the rider and on steeper descents it felt nervous and twitchy. Well, the Process 111 is basically the Honzo with a slightly slacker head angle, a longer wheelbase and just over 110mm of travel. Doesn’t sound like much, but the 29in wheels will make it feel like it’s got more than the numbers suggest and the geometry should make for exceptional handling. Ultra short 430mm chainstays were only possible by making the 111 single-ring specific, so there’s literally no room for a front mech. 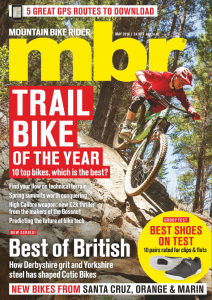 That could be an issue if you live somewhere mountainous, but here in the UK, we can see the Process 111 being a thrilling singletrack tool. As you can see from the video above, it certainly didn’t slow Al Stock down. 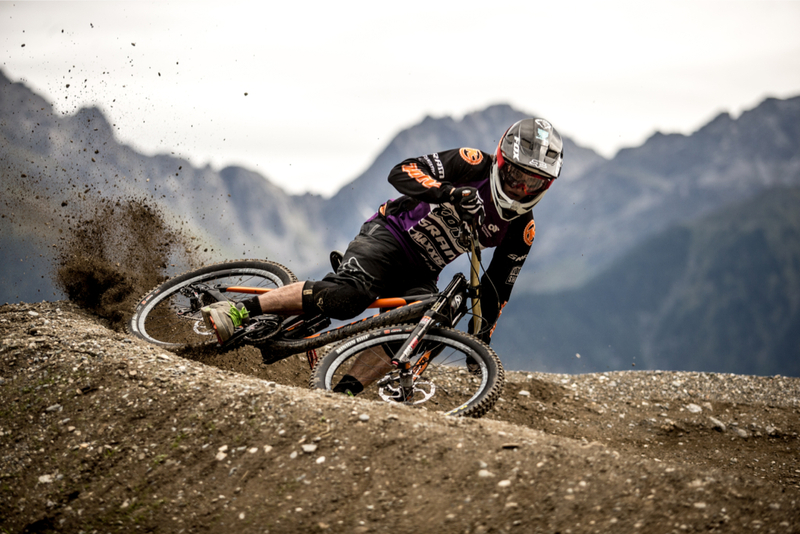 In fact, it was aboard a Process 111 that he secured the overall win in the UK Gravity Enduro series. Costs? Well, the XX1-equipped Process 111 DL will set you back £4,599, while the more basic 111 comes in at £3,199. 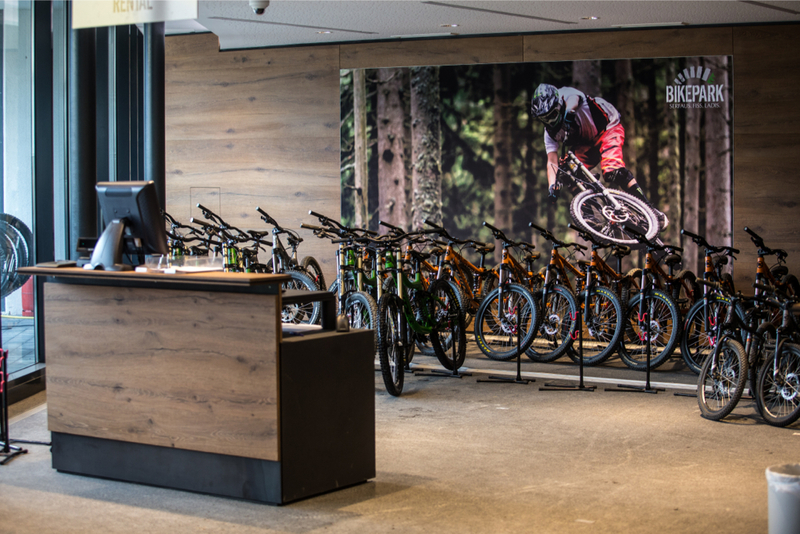 In the Carbon Operator, Kona has built the most affordable composite downhill bike on the market. For £3,399 you get a full carbon mainframe with alloy stays and a carbon/alloy rocket link. Up front is a Boxxer fork, complemented by Maxxis High Roller 2 tyres, Avid Code brakes and a Shimano Zee chainset. You don’t get much in the way of adjustability – the fork and shock only offer basic damping dials – and the tyres are hard compound 60a, but out of the box it would still make a brilliant privateer race bike. Should you have deeper pockets, there’s also a high spec Supreme Operator for £6,399. Not for sale, but fairly easily replicated, is Connor Fearon’s 32lb (yes, 32lb!) race bike. 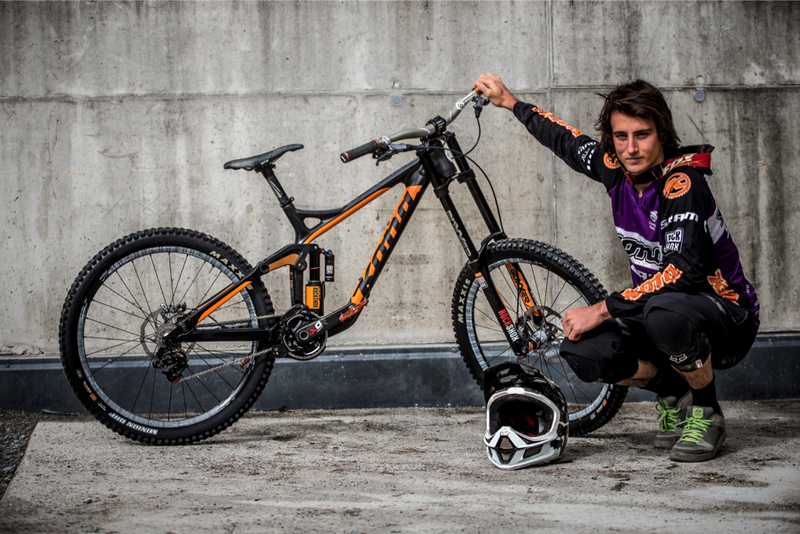 This is the bike he just rode to 10th place at the World Cup Finals in Leogang, Austria, and it uses exactly the same frame as the Operator and Supreme Operator. The ski area of Serfaus-Fiss-Ladis has a reputation as one of the best family resorts in Europe. 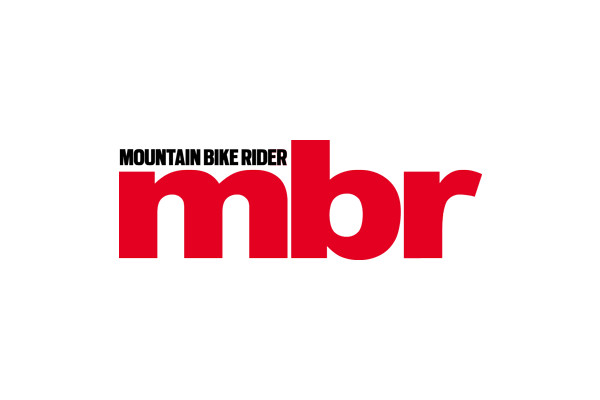 Now it wants to diversify into the mountain biking market, and its fledgling bike park opened in August. A steep mountain side with 400m elevation change, serviced by a new and efficient gondola, has been put aside specifically for mountain bikes. At the base of the mountain is a shop, rental fleet, bar and seating area overlooking a pump track and skills loop. An escalator – yes, Bike Park Serfaus is fully gravity assisted – leads you to the gondola and a big chill out area with bean bags from which you can watch people roll through the final ‘slopestyle’ jumps. From the top of the gondola there are currently three options – a black, a red and a blue. All three were started as soon as the snow had melted and finished in just three months. The black trail, Hill Bill, is largely natural, taking a route that pretty much follows the fall line. It’s littered with roots and loamy dirt that turns properely slick when it’s wet. 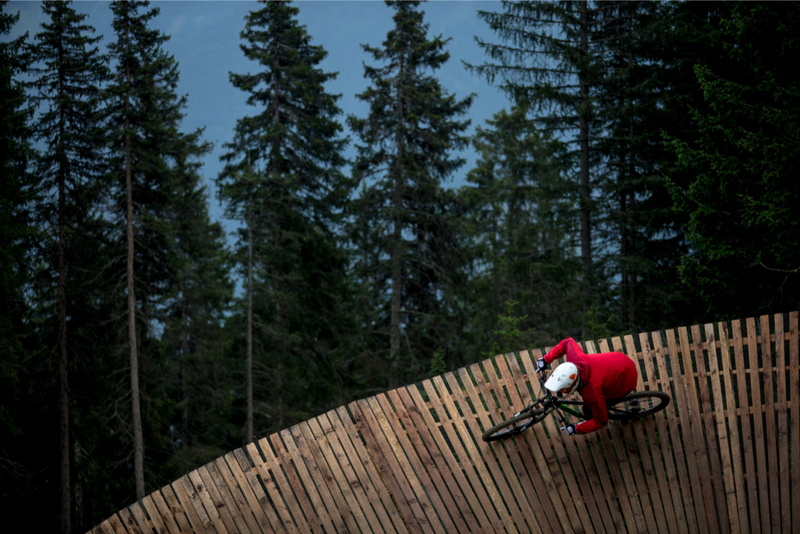 Subtle man-made additions, such as catch berms and gap jumps, improve the flow rather than interrupt it, but the trail still manages to feel raw and natural. One that will evolve into a challenging race-style track. To see what we mean, watch Connor Fearon demolish it at the the start of the video above. Pretty much every bike park we’ve ever been to claims to have a trail that replicates A-Line. Only problem is, few measure up to the Whistler original. 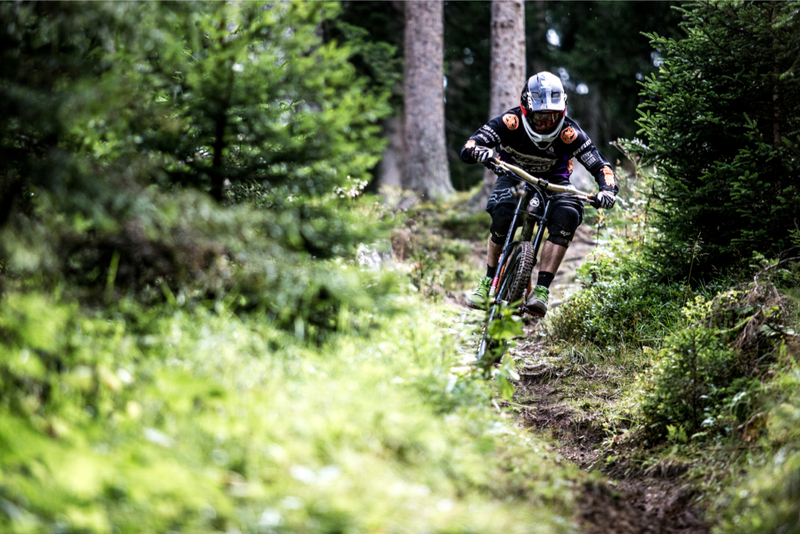 Bike Park Serfaus comes closer than most. The jumps on Strada del Sol are well-built with consistent lips and, once you know the trail, flow perfectly according to your speed. There are a few that put you off-line for the next corner, but, like all the trails there, the red trail is a work in progress. It’s the trail Connor and Al Stock are riding in the latter half of the video. There’s also a blue trail, that we didn’t ride, but had everyone who did pulling up at the bottom with a huge grin. By all accounts it’s a blue that is as fun for the advanced rider as the intermediate/beginner. 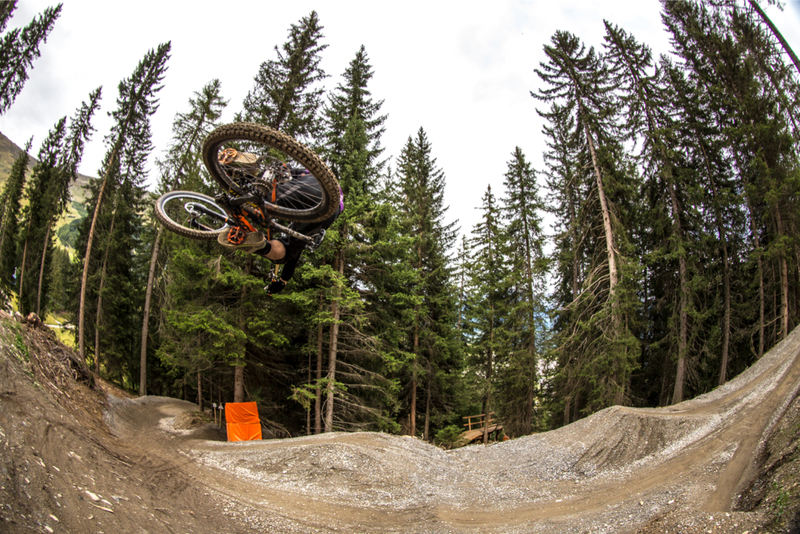 What Bike Park Serfaus has achieved in three months is impressive. Three well-built trails, varying in feel and technicality, serviced by an efficient uplift guarantees the fun, whatever your level. Then there’s the base area, which feels like it’s genuinely welcoming to riders, is a world away from the tolerance you tend to experience at French resorts. For a first effort, Bike Park Serfaus has done a great job. If it continues to evolve and grow, we can see it becoming a refreshing alternative to all the other lazy, half-baked, alpine bike parks. Particularly when you begin to factor in all the trail riding potential in the area, along with the fact that it is open well into October and there’s loads of activities for the kids.